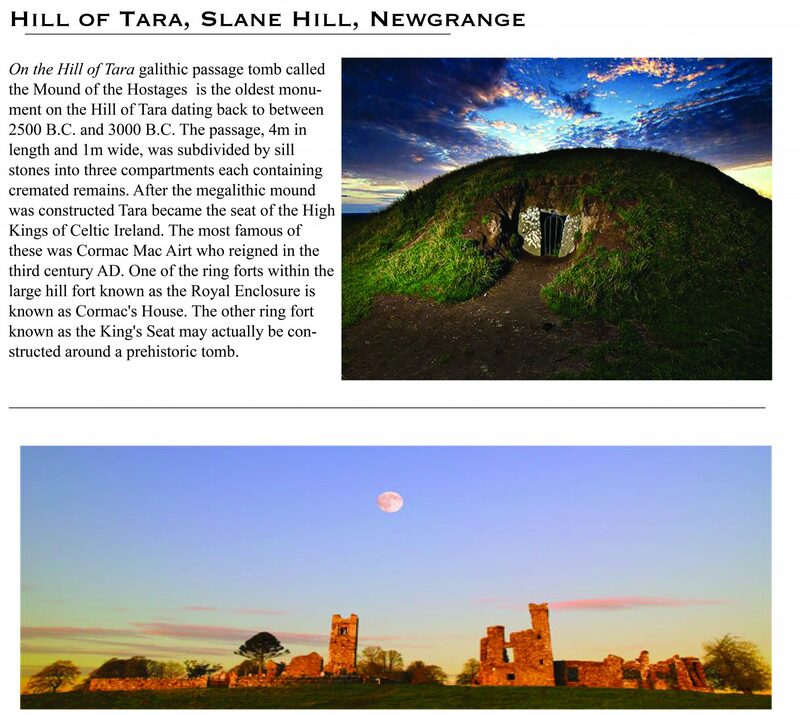 The Best Ireland Tour Ever – 2019! 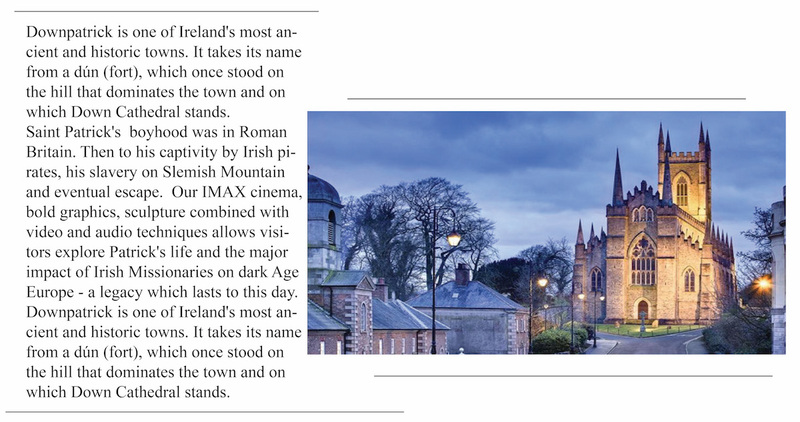 Do you love 17th-century castle-hotels, Irish tea shops, celtic historic places — where St Patrick began his ministry? Then you must come on this Great Ireland Tour! The Best Ireland tour 2019 is going to be outstanding! There is no other tour like this! This is not a mission or a ministry trip as such, but God shows up, and it is powerful. It’s your chance to chill out and have lots of fun! We stay in nice places. All hotels, transport, meals (except lunches) are included. *Itinerary is subject to change due to weather or other unforeseen circumstances. Space is limited so RSVP today. Although the tour begins on September 2nd, Kathie STRONGLY recommends arriving on the day before. Arrive in Dublin. Free day to rest up and fellowship and have supper. Dublin, the capital of Ireland, situated in the east of the country offers the same facilities as any other European city while still maintaining the most traditional and vibrant of Irish culture. Dublin has some wonderful sights to see, like the River Liffey that cuts the city in two or Grafton street, the city’s shopping heart, and the famous O’Connor’s street. Also the home of Guinness, Dublin will prove a thrilling experience for anyone, surrounded by music and the unique hospitality of Dubliners. Visit Trinity College and see the Book of Kells. Pick up Dublin Airport to transfer to Auburn Lodge Hotel in Shannon. Stop in Adair for lunch. 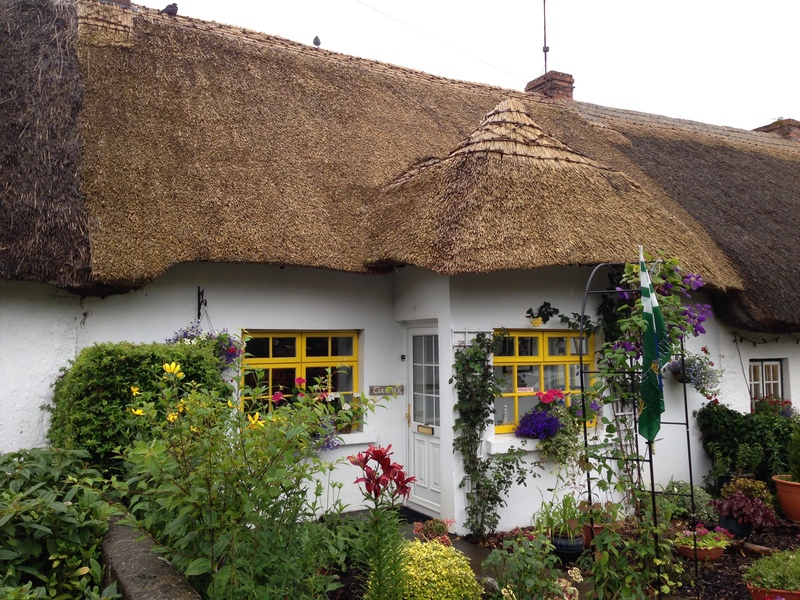 Adare (/æˈdeɪr/; Irish: Áth Dara, meaning “ford of [the] oak”) is a small village in County Limerick, Ireland, located south-west of the city of Limerick. 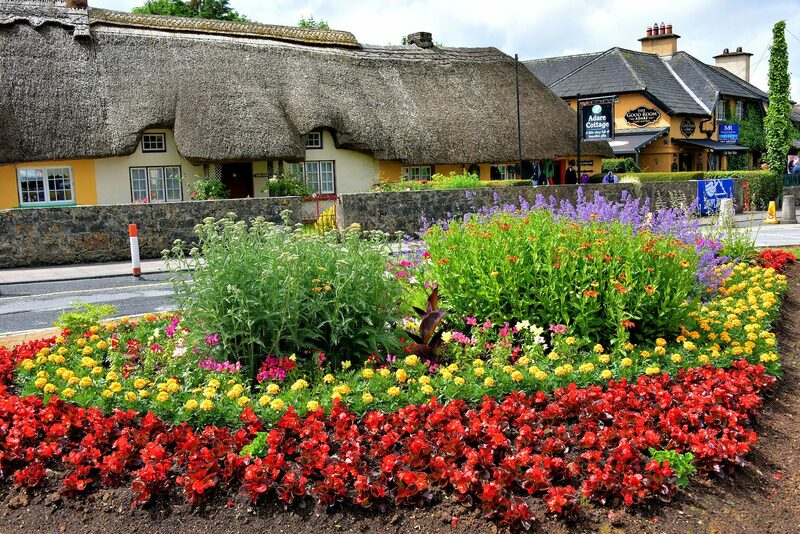 Renowned as one of Ireland’s prettiest towns, Adare is designated as a heritage town by the Irish government. 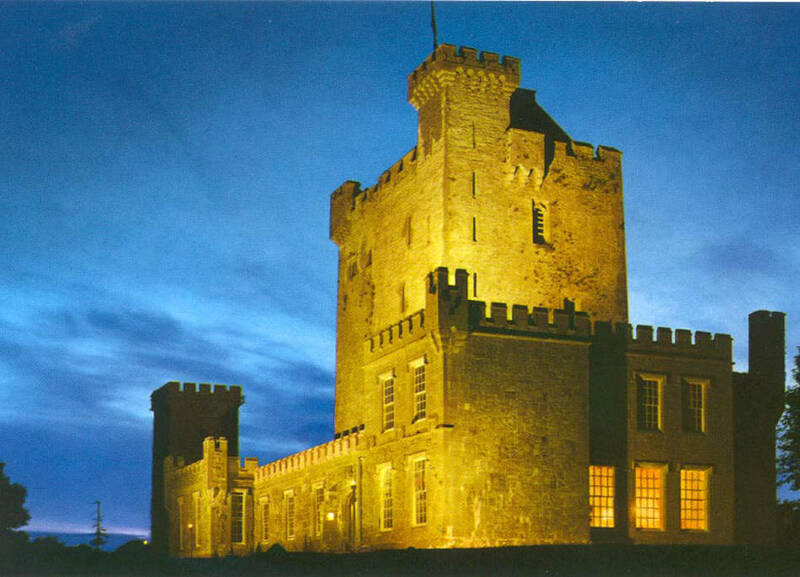 Evening Banquet in Knappogue Castle. Evening Banquet in Knappague Castle. The original castle was built in 1467 by Seán Mac Conmara (or MacNamara), son of Sioda MacNamara, and is a good example of a late medieval tower house. The castle’s name translates as “castle of the place abounding in little hills”. Transfer to Killarney Plaza Hotel. Stop for lunch on way. 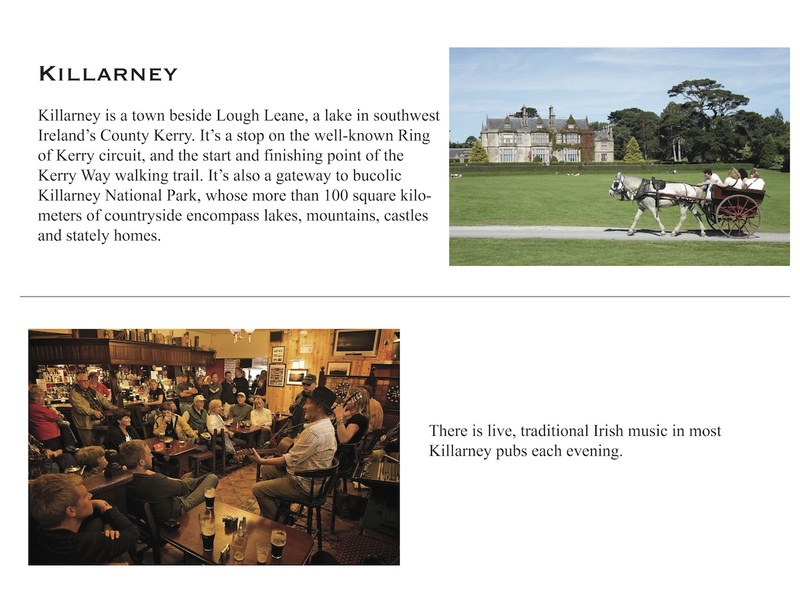 Killarney, in County Kerry, is a pretty town on the shores of Lough Leane. We can get a horse a carriage ride. Scenic drive round Ring of Kerry, stopping at The Red Fox for refreshments. 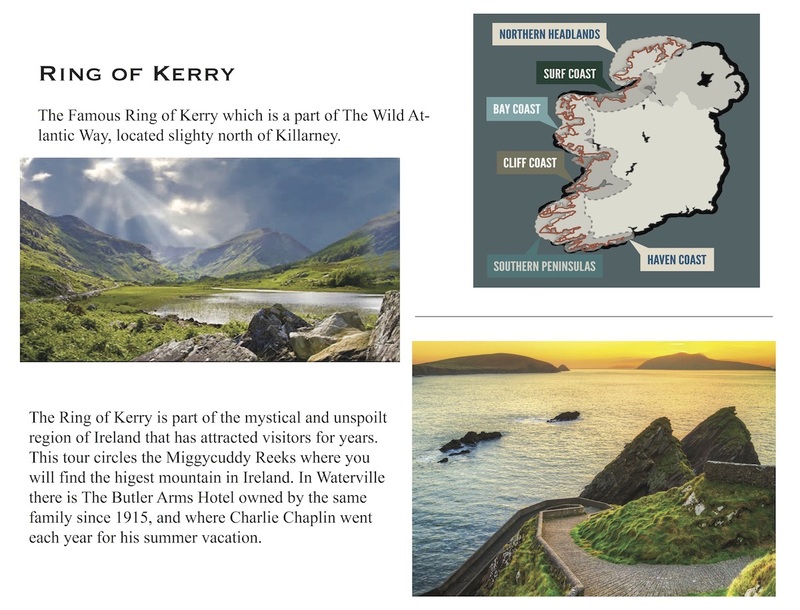 The Ring of Kerry encounters some of Irelands finest landscapes, a breathtaking mosaic of rugged storm bashed coast, with steep mountains, velvety green fields, historic sites, slate coloured glacial lakes and welcoming towns and villages. 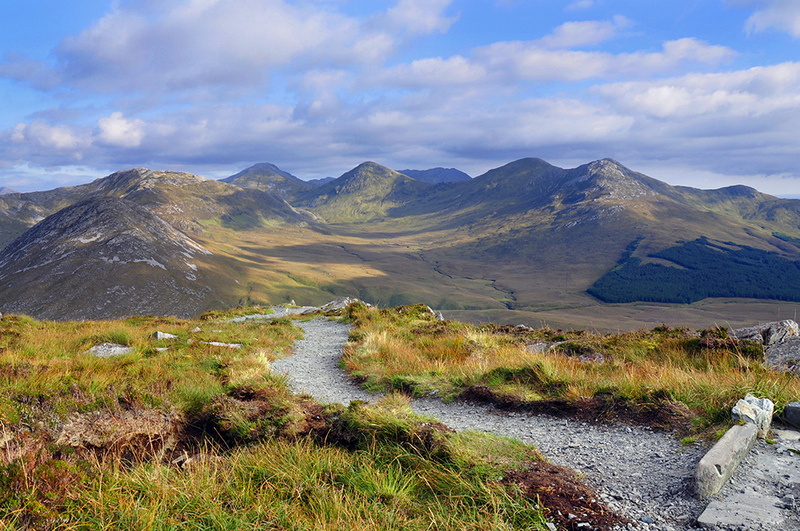 Not forgetting the highest mountains – The MacGillycuddy Reeks. Then on to Waterville. 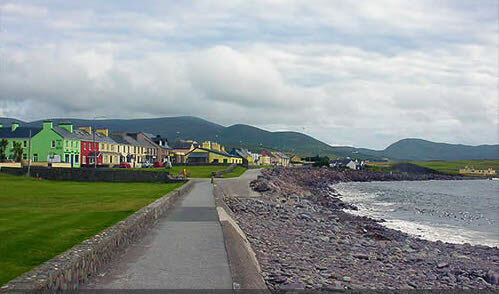 Waterville is where Charlie Chaplin spent his holidays each year, and it’s also where we will stop for a pub lunch. 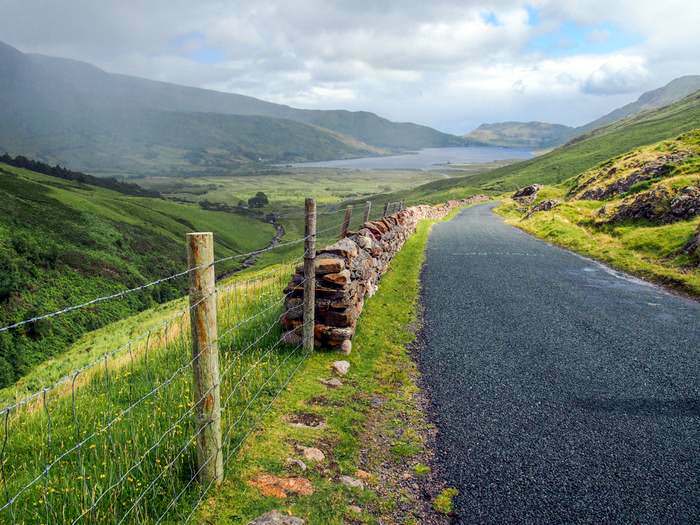 Today we take another scenic drive to The Dingle Peninsula and Slea Head Drive. 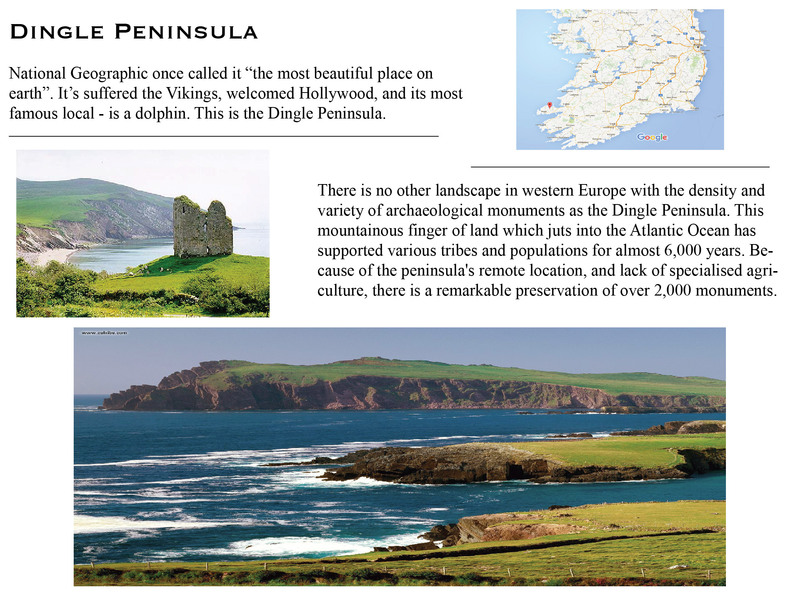 Dingle is known as a favourite hideaway of celebrities such as Julia Roberts, some of the pubs and restaurants feature photographs of celebrity visitors from down through the years, Sean Connery, Dolly Parton, Keanu Reeves, and Bob Mitchum. But its most famous guest is the wild bottle-nosed Dolphin named Fungie. The town erected a bronze statue of the dolphin, and he is so reliable in appearance to tourists that boaters offer clients their money back if he doesn’t turn up. 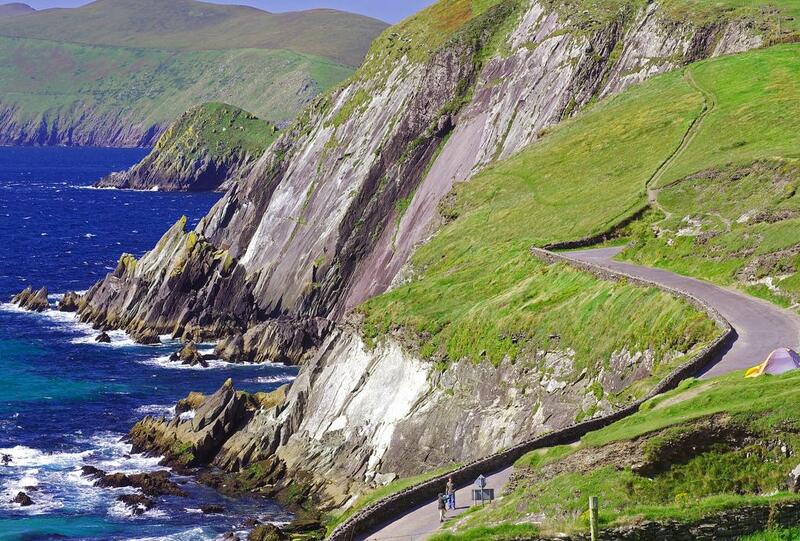 Slea Head drive is a 30 kilometers long panoramic road, on the way you will see some Beehive Huts made of stone. 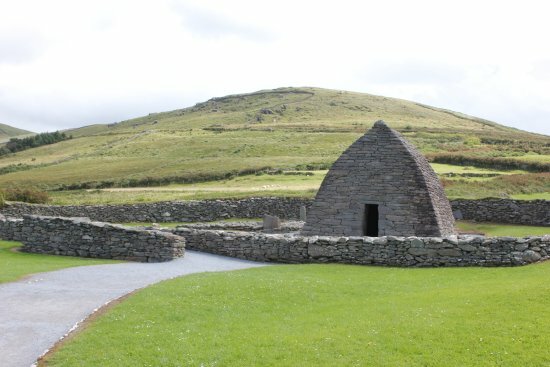 We will visit Gallarus Oratory it was built in the seventh and eight century and is the best preserved Christian Church in Ireland, it is built of dry stone, in the shape of a beehive. Seeing this remarkable building is a must. Visit the famous Cliffs of Moher. We leave Killarney today and head for our Hotel Menlo Park in Galway via the famous Cliffs of Moher. In a nutshell, the Cliffs of Moher are some of Europe’s highest sea cliffs, towering 700 feet above the Atlantic. We’ll drive along the cliff’s road to see breath-taking views of the Atlantic Ocean. The Cliffs of Moher are some of Europe’s highest sea cliffs, towering 700 feet above the Atlantic. The Cliffs of Moher (/ˈmoʊ(h)ər/; Irish: Aillte an Mhothair) are sea cliffs located at the southwestern edge of the Burren region in County Clare, Ireland. They run for about 14 kilometres. At their southern end, they rise 120 metres (390 ft) above the Atlantic Ocean at Hag’s Head, and, eight kilometres to the north, reach their maximum height of 214 metres (702 ft) just north of O’Brien’s Tower, a round stone tower near the midpoint of the cliffs, built in 1835 by Sir Cornelius O’Brien, then continue at lower heights. The closest settlements are Liscannor (6 km south) and Doolin (7 km north). From the cliffs, and from atop the tower, visitors can see the Aran Islands in Galway Bay, the Maumturks and Twelve Pins mountain ranges to the north in County Galway, and Loop Head to the south. 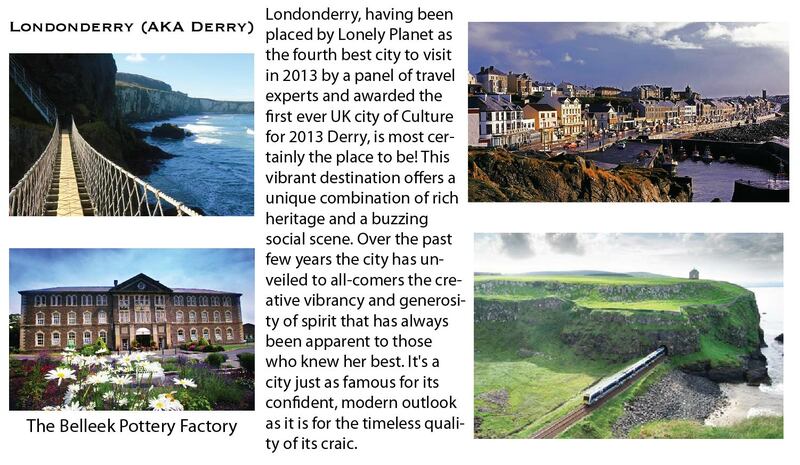 The cliffs rank among the most visited tourist sites in Ireland, with around 1.5 million visits per annum. Great shopping in the picturesque town and the best fish ‘n chips. Known as the City of the Tribes and a gateway to the scenic areas of the country, Galway is a bustling town with a fantastic nightlife. The charming traffic-free streets and numerous shops, pubs and cafes are sure to keep you occupied. 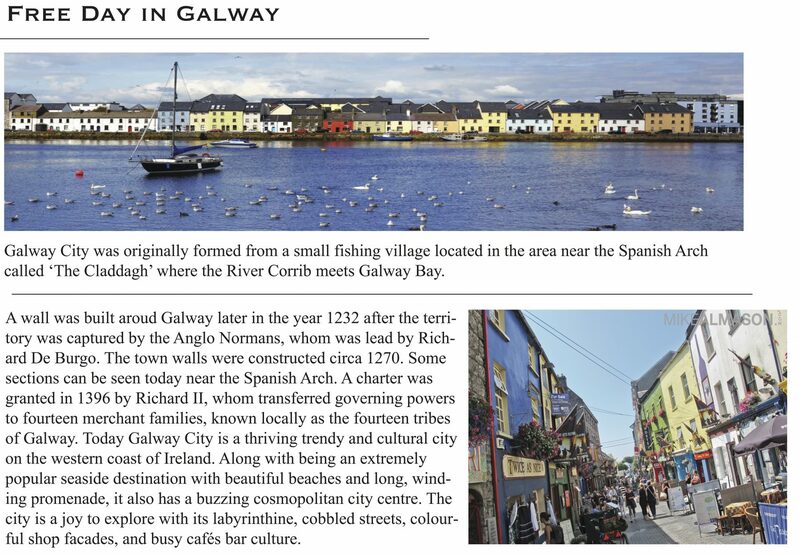 Galway is the capital of the West of Ireland. 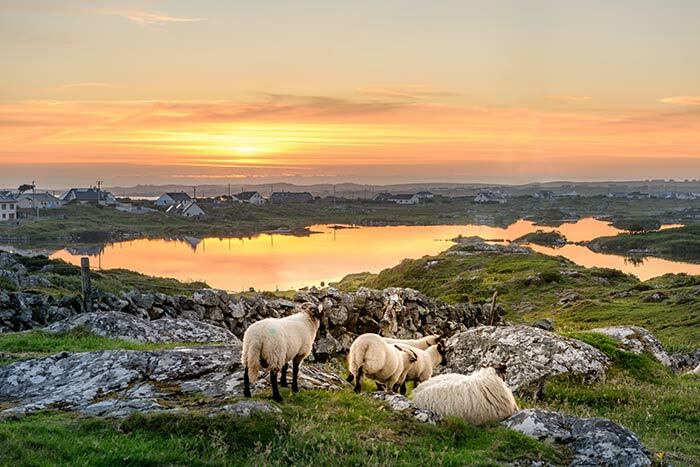 The streets and buildings of this ancient town have many interesting features, and its position on the edge of the Gaeltacht (Irish speaking area) makes it the gateway to magnificent areas such as Connemara, Corrib country, and the Aran Islands. Recently, the city centre of Galway has been closed to traffic in order to allow for the enjoyment of the city’s narrow shopping streets. Connemara (Irish: Conamara; pronounced [ˈkʊnˠəmˠəɾˠə]) is a cultural region in County Galway, Ireland. 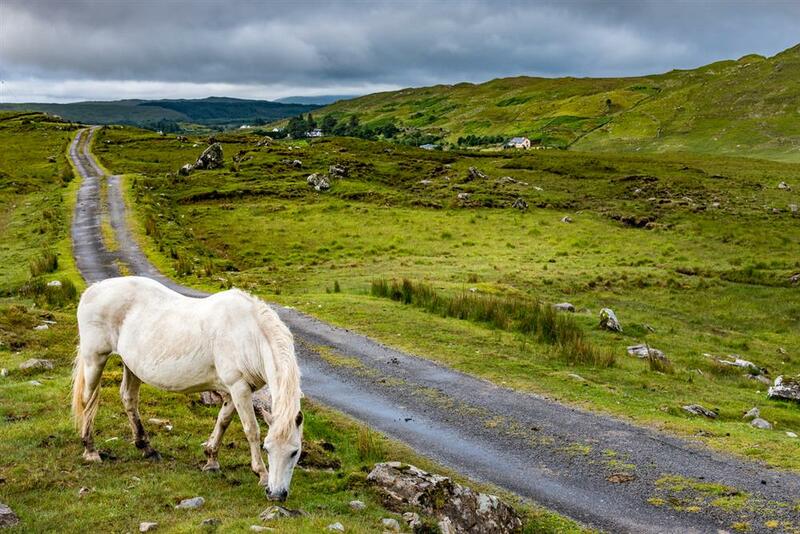 The area has a strong association with traditional Irish culture and contains a major part of the Connacht Irish-speaking Gaeltacht, which is a key part of the identity of the region and is the largest Gaeltacht in the country. A place of contrasts, colours, wilderness and hidden gems just waiting to be explored. Each town has its own distinct character and local culture. We will see Cong where the movie “The Quiet Man” with John Wayne and Maureen O’ Hara was made. “The Quiet Man” is an old movie all made in this area, If you haven’t seen it, I recommend watching it! We will stop in Clifden for a pub lunch. The Everglades Hotel in County Londonderry. Head North via Sligo to our Hotel. Sligo is the English version of Sligeach meaning abounding in shells. The river known as the Garavogue meaning little “rough one” was originally called the Sligeach, and is listed as one of the seven” Royal rivers of Ireland”. Beautiful scenic drive of the Antrim Coast Road, Glens of Antrim. We drive through the lovely nine deep green glens each with its own unique character. We journey to our hotel along what’s commonly known as the famous Antrim coast road, where we will make a stop for lunch in Bushmills. Bushmills is, of course, world famous for its Whiskey, which has been produced here for 400 years at the oldest working distillery in the world. 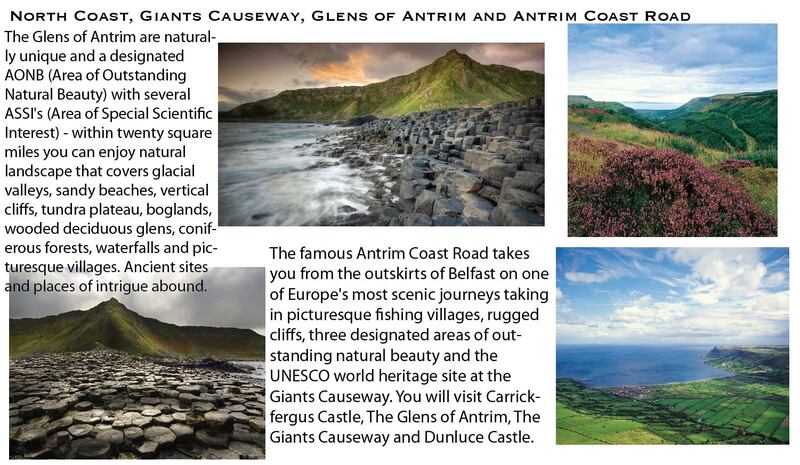 Further along the coast is the famous “Giants Causeway“. 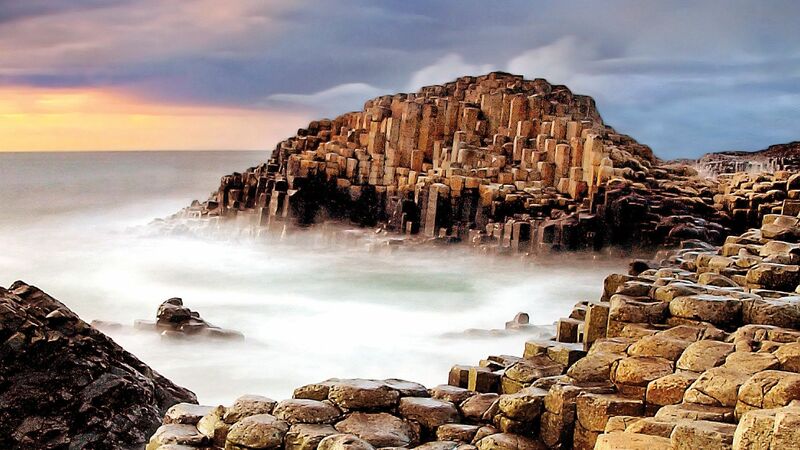 It plays a major part of Ireland’s heritage, with its 40,000 interlocking basalt columns, the result of an ancient volcanic eruption, however, the legend is more convincing for those who prefer a more colourful story. Your driver will tell you the legend. 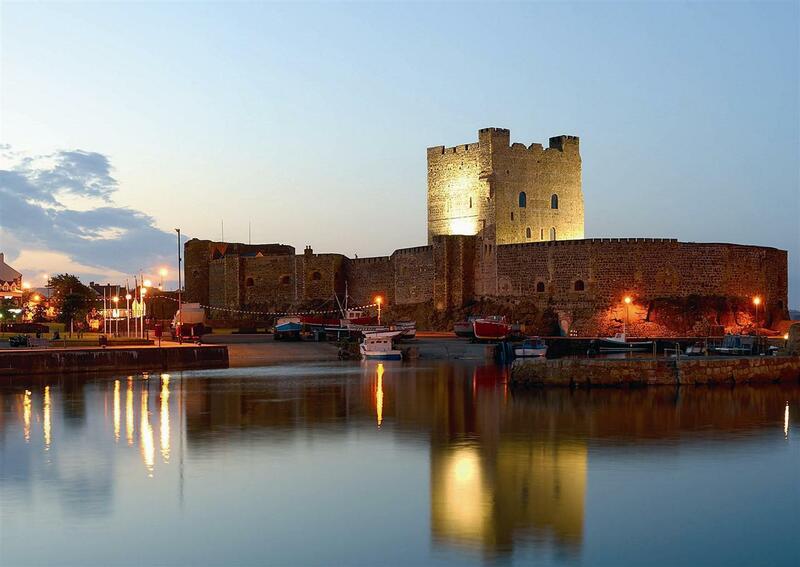 Carrickfergus Castle, built in 1177. We carry on through Carrickfergus and past the Castle stopping to take a picture before going on our way to our Hotel in Crawfordsburn, called “The Old Inn” – a 16th century Inn with a thatched roof. Tour of Belfast, C.S. Lewis house. Birthplace of Titanic and gateway to Northern Ireland. 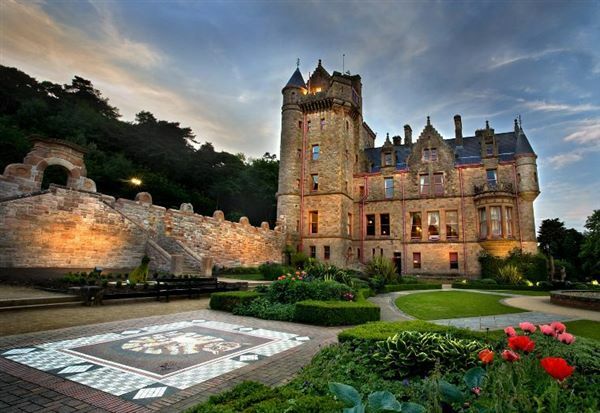 Belfast has plenty of variety for visitors wishing to expand their visit, encounter the beautiful coastal landscapes or discover more about Northern Ireland’s industrial heritage. 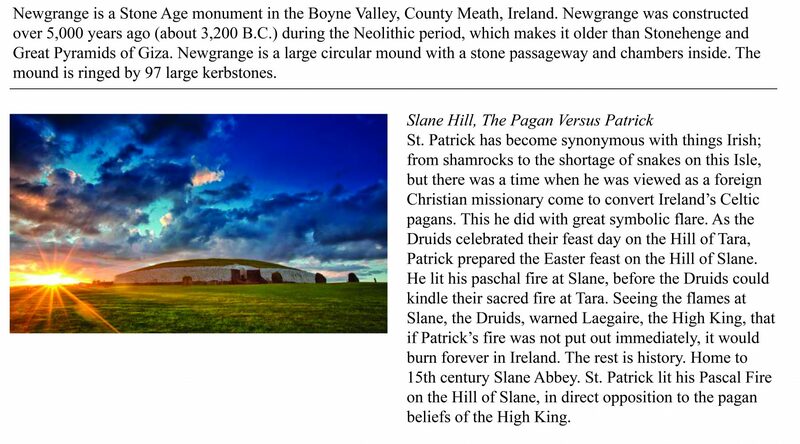 Saint Patrick lit a Paschal fire on this Hill of Slane in 433AD in defiance of the High King Laoire who forbid any other fires while a festival fire was burning on the Hill of Tara. You will find all these amazing stories in Kathie’s Celtic Book set- Make sure you read them before you come to Ireland. Dublin, the capital of Ireland, situated in the east of the country offers the same facilities as any other European city while still maintaining the most traditional and vibrant of Irish culture. Dublin has some wonderful sights to see, like the River Liffey that cuts the city in two or Grafton Street, the city’s shopping heart, the famous O’Connor’s street, and see the famous Westbury hotel. Visit Trinity College and see the Book of Kells or relax, shop and have high tea. You can and the famous Book of Kells from the 8th century. Dublin is also the home of Guinness (The Guinness family are the greatest benefactors Ireland has ever had.) 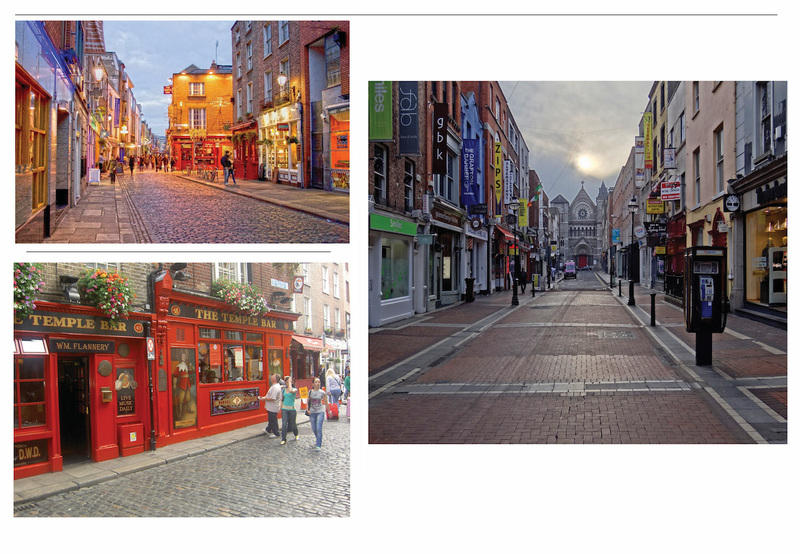 Dublin will prove a thrilling experience for anyone, surrounded by music and the unique hospitality of Dubliners. We say “Slan go foil” (bye for now) to Ireland and head for the Airport. The price for this wonderful fun filled relaxing pub crawl is $3,950 plus a single supplement of $850. I can advise you about airfares and airlines. Some people want to use their miles. I would tell you to check with Travelocity, Expedia, Syscanner, etc. as that will show you lots of airlines and costs. The Price for this Celtic Tour is $3,950.00 (does not include airfare). A non-refundable registration fee of $375.00 is required. There is an $850 single-room supplement if you would like your own hotel room. Included: All our hotels are 4-5 star. All meals, ferry fees, and ground transportation are included. I am happy to point you in the right direction if you need help with flights. E-mail me for me more details. You can hold your spot with a non-refundable deposit of $375 at the bottom of this page or PayPal it to kathiewalters@mindspring.com. BE SURE TO INCLUDE YOUR FULL NAME AND THE NAMES OF ANYONE TRAVELING WITH YOU.